Is Barbie boredom setting in at your household this Christmas season? Maybe it’s a case of too many Barbie dolls and not enough Kens to go around? Sick of Ken being the strong silent type? Well, say welcome to Sweet Talkin’ Ken! Initially, he may appear somewhat plastic, but underneath he’s a charmer. 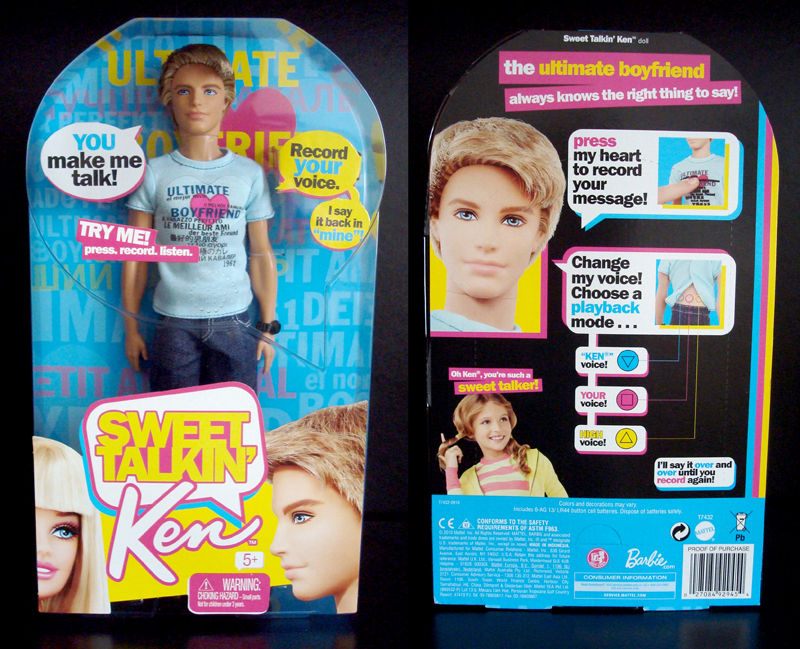 Sweet Talkin’ Ken says what every little girl, longs to hear…..Whatever they want! A microphone is built into his chest! The user can even choose one of three voice tones settings, to hear the playback. Instant female verbal affirmation, at your fingertips.